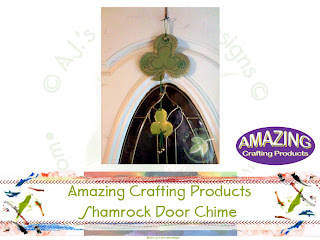 Amazing Crafting Products – St. Patrick’s Day | Who Are You Calling Crafty? 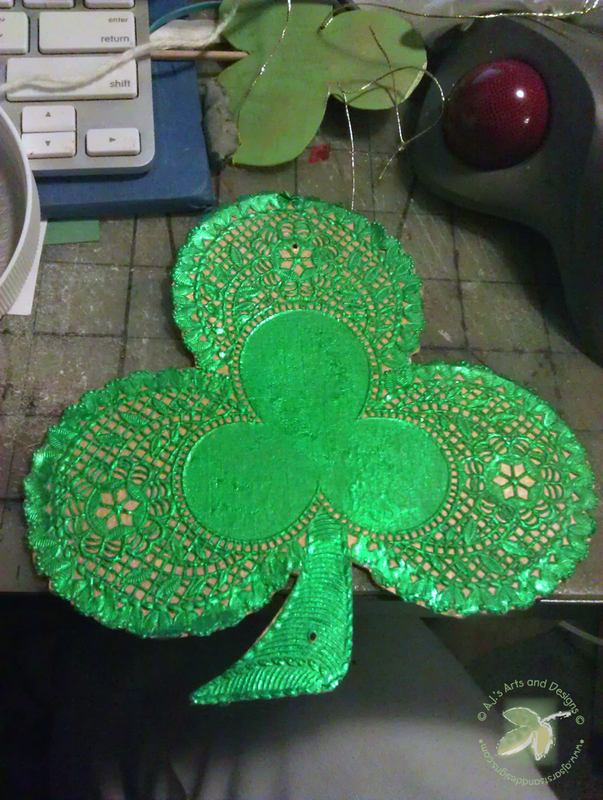 St. Patrick’s Day is right around the corner and I really wanted to do a St.Patrick’s Day Project this year. A couple of years ago I bought dollies on Clearance at Michael’s I paid $0.25 for a pack. Last Year I glued the dollie to a cereal box and made decorations. 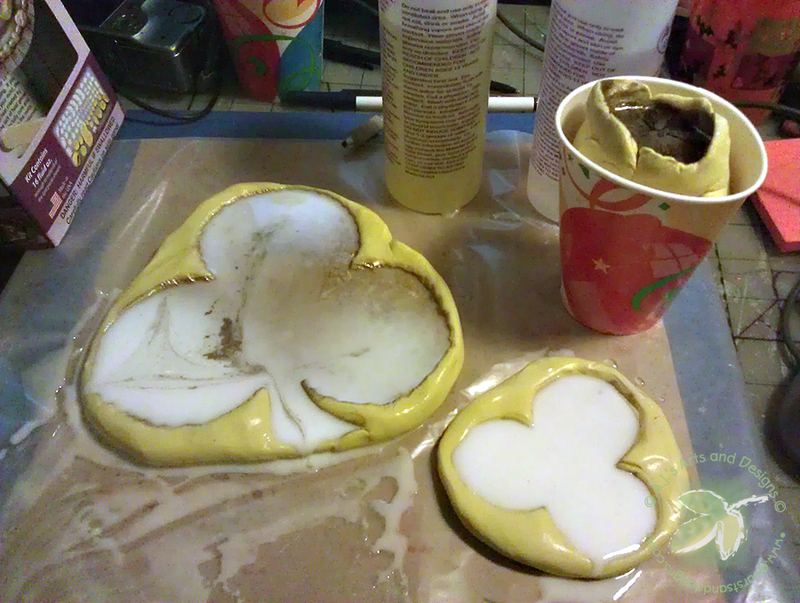 I decided I wanted to mold the shamrocks and cast them in resin. 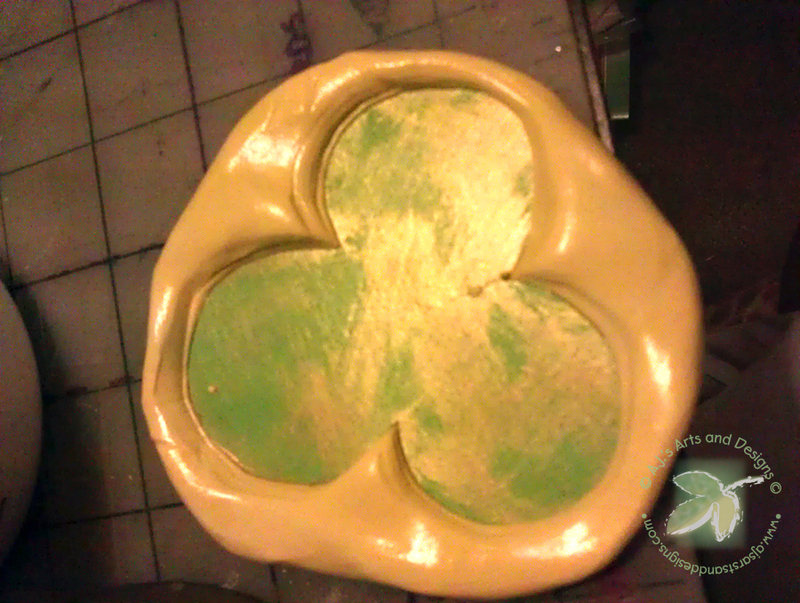 Resin setting in the molds – I used wax paper as a base because I had a huch I would make a mess. 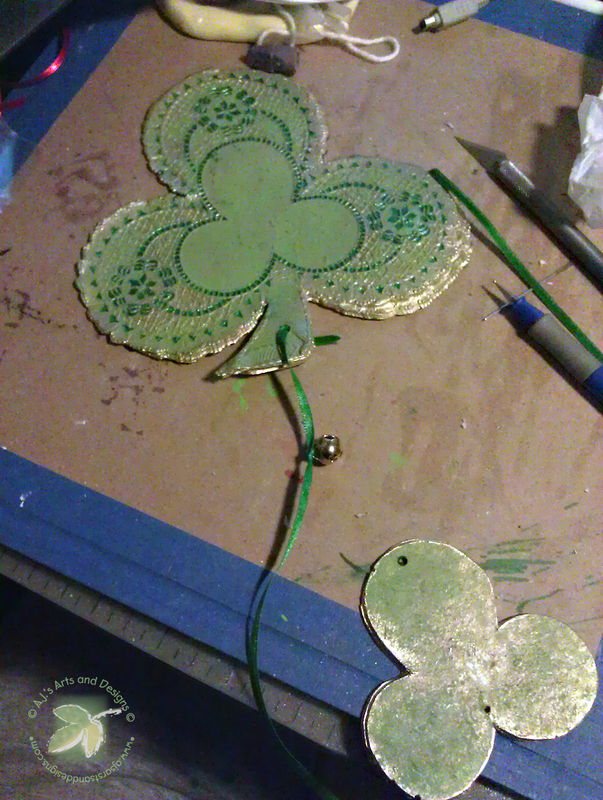 Painted stringing them together and adding bells to ribbon. 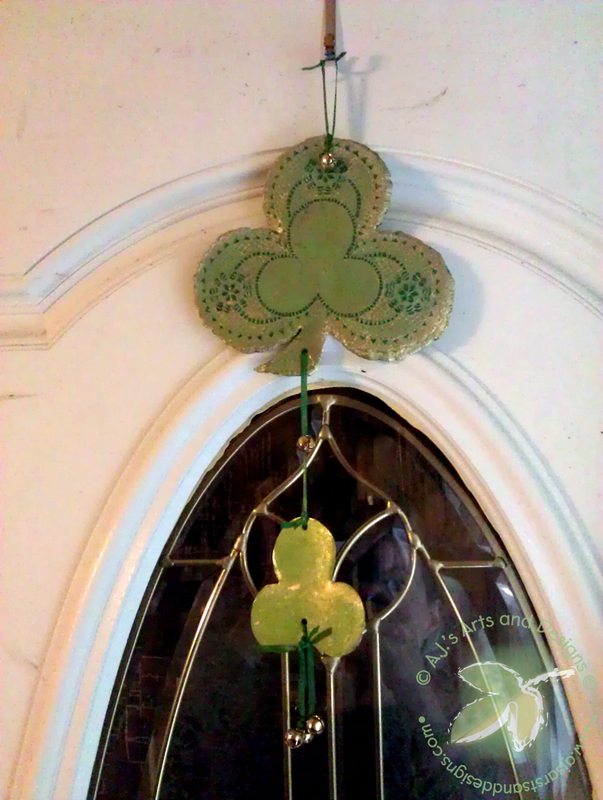 Finished hanging on the door. « Win a Cricut Expressions 2 by Helping an AMAZING Charity!